Each country pursues its own interests, ignoring mostly the interests and troubles of other nations. Why? In order to get re-elected, which is the primary goal of politicians. And the German Parliament permits what the German voters want, which is – fewer or no bailouts for incompetent spendthrift irresponsible budget-busting southern European governments. 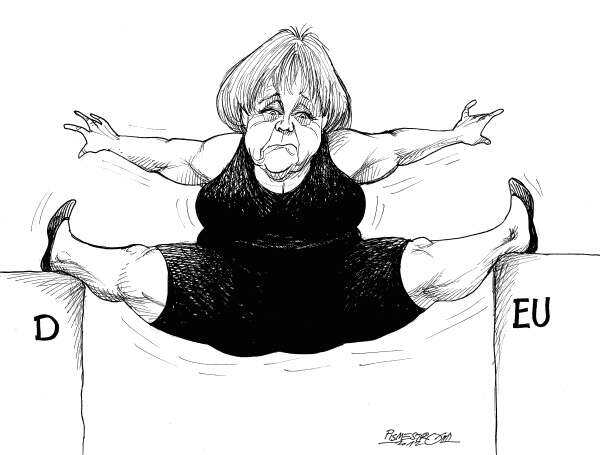 Don’t blame Merkel and Germany. America and Obama do precisely the same, as does Cameron and Britain, Hollande and France (in growing disagreement with their German neighbors), and every government I know, except those headed by the late Mother Teresa, and there are no such governments. Global woes, local politics. Is there any way to resolve this dilemma? One could quibble with the details (why 7% and not 7.1% or 6.9%) but there is an underlying logic that is easy to appreciate. Bill White was warning about the dangers of this approach at the BIS well before the crisis; he has an excellent update here. Are the Rich Addicted to Cheap Money? What in the world could drove stocks, bonds AND gold down, all three at the same time? 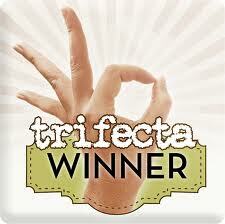 A rare ‘trifecta’? It was Ben Bernanke’s announcement that the U.S. Fed would begin a 3-stage policy: 1. tapering (the slowing of asset purchases) which will start later this year if the economic improvement continues; 2. the ending of asset purchases (when unemployment falls to 7%, perhaps next year); and3. a return to normal monetary policy (which could involve higher rates or an unwinding of QE) which would require unemployment to fall to 6.5%. Sorry, Masters of the Universe. You may actually have to pay reasonable interest rates for your borrowing. There are great institutions that can help you overcome your addiction to cheap money. And hey, if you like the addiction, you can keep on blasting the Fed for its wrongheaded policies, while you continue to make fortunes from the piles of very very cheap money it creates. Why leave the party if the music is still playing? Creativity is widening the range of choices, often by breaking the rules – by doing things differently than everyone else. It takes courage and mental flexibility just to conceive of creative choices. Here are two case studies. 1. 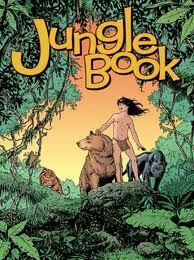 Disney Theatrical Group is initiating and investing in a Broadway musical production of The Jungle Book, first published by Rudyard Kipling as a series of stories in magazines in 1893-94, and now a Disney property (like Winnie the Pooh). “…she starts rehearsals without a script, then works on writing one up until opening night…”! The new show opens July 1. It has already aroused controversy, because Zimmerman’s setting is India, and she has been accused of (wait for it…) “cultural colonialism” (appropriating India’s culture for capitalist profit)! Those who produce Broadway musicals invest millions of dollars in high-risk ventures. Disney has shareholders who track everything the company does. When millions are invested in a new show, without even having a script at the start of rehearsals… this is definitely breaking the rules. I wish Mary Zimmerman success, and hope my blog readers, some of them, will emulate her. 2. Magazines have covers. TIME magazine has a different cover for each issue. New issue, new cover. That’s the rule. Why not multiple covers for the same issue? 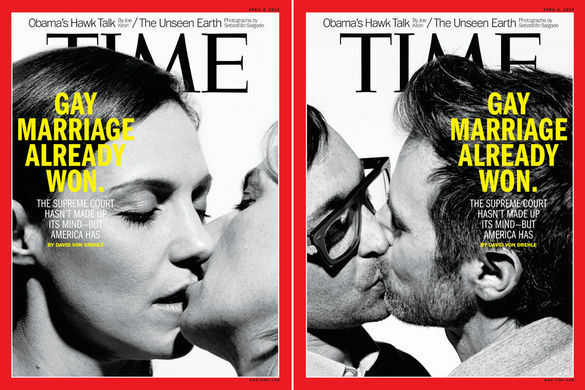 Why not, say, four different covers for the July 1 print issue of TIME – one new cover for each of four consecutive days? This is TIME’s innovation, in desperately struggling to gain new readers and keep old ones, in an era when young people get their news on-line. Other magazines follow suit. Fitness magazine ran multiple covers for its July-August 2012 issue. The point here is, ask yourself, what are the key assumptions? How does EVERYONE do something? Then ask, why is this so? How can we widen the range of choices, for ourselves and four our clients? Always, the point is not to do something new, but to do something better, to add value for clients. The difficulty is, people are used to old familiar things, and often resist anything new, anything changed. It takes courage to be an innovator, to widen the choices, to break the rules, and you have to be prepared to fail, sometimes massively. TIME knows this. So does Mary Zimmerman. We wish both great success. 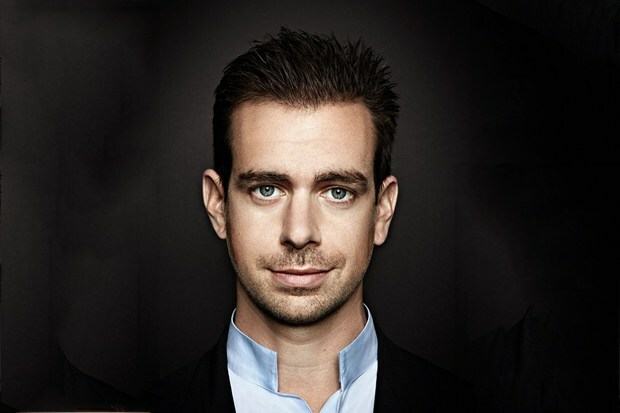 Jack Dorsey, born in St. Louis, is 36 years old. He is the founder of Twitter, which has changed the way the world communicates. How? Here is his story, as told to the CBS program 60 Minutes. As a child, Dorsey had a speech impediment and partly as a result was extremely shy. He found solace in computers, and taught himself to program before he was 12. He dreamed of working in New York City and got a job with a package delivery firm there by hacking their website, then offering to show them how to fix it. In St. Louis, he amused himself by listening to 911 emergency dispatchers on a police frequency scanner. He noticed that all their messages were very short. Who am I. Where am I. What am I doing. Where am I going. Seven years ago, he launched Twitter on that basis — simple, short messages. So that everyone in the world “who owns a $5 cell phone could communicate with the world” – how I feel, what I’m doing, where I’m going. Dorsey understands that technology should disappear. It should be so simple for users that they are unaware of it. This principle is usually forgotten – look at how complex it is, for instance, to set up a home router – something I’ve been struggling with. He was awarded by the Wall St. Journal the “Technology Inventor of the Year” award. 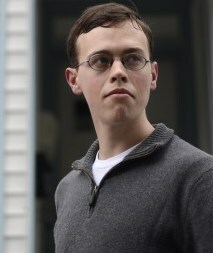 Dorsey was kicked out of Twitter by other founders and the Board of Directors. He calls it “a punch in the gut”. Like Jobs, also kicked out of Apple, later, he was invited back. He says he does not bear a grudge. Meanwhile he has founded another pathbreaking company that is changing the world, called Square. Plug a dongle (white square) into the earphone plug, and you have a way to start a business and accept payment. The idea came from his friend Jim McAlvy, a nerd and artist, who lost a sale of a piece of art because he could not accept a credit card. Square is now used by many small businesses and has $12 b. turnover yearly. When you enter, say, a café, the iPad of the owner identifies you instantly (through GPS), your face appears on the screen, and two touches charges you for the coffee and sends you a receipt. Simple. Transparent. Easy. At Square, he has no office or even a desk. Everything is on his iPad. He walks around and constantly talks to the workers. He is now considering running for Mayor of New York, to replace Michael Bloomberg, who will soon complete his final term of office. If I could, I’d vote for him. Why should we become like Jack Dorsey? And how? Honesty. Transparency. Simplicity. Self-awareness. And modesty. And superb marshaling of creativity to tackle unmet social needs. One person can indeed change the world, hugely – and more than once. A brilliant study by McKinsey Global Research scholars did the following: Let a country’s GDP be its ‘weight’. Calculate the world’s “center of gravity” based on the weight of each country. Do this for the past 2000 years. The results are shown above. In AD 1, and in the year 1000, the center of gravity of the world, in terms of economics and wealth, was in Asia. This was mainly because of China, which had technologies no other nation could even dream of. But the Chinese emperor decided to destroy them, fearing what they would do to his traditional society. (In retrospect, he was perhaps somewhat wise). As Britain led the First Industrial Revolution, the center of gravity rapidly shifted West, to Europe. Then, after World War II, it shifted again rapidly, to the West, to the United States. 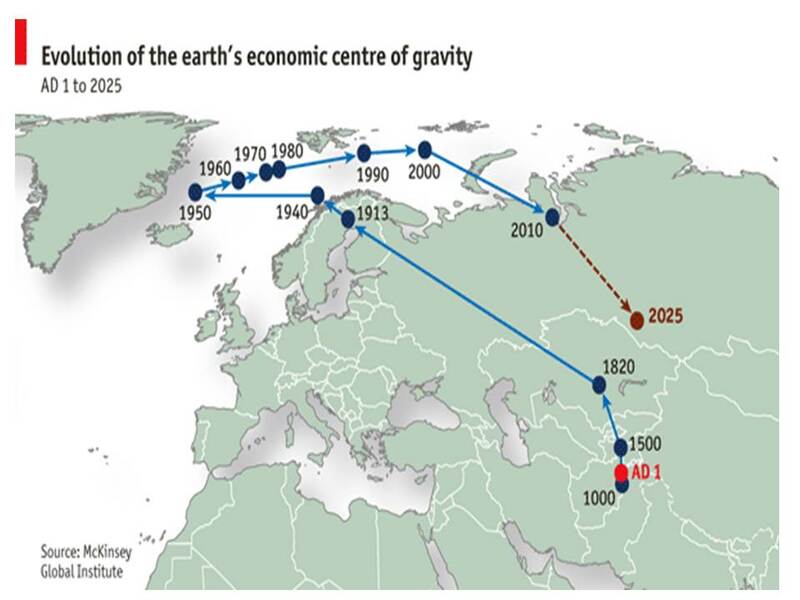 From 1950 to 2000, the world’s center of gravity shifted again, this time back to the East – first northeast, as Europe grew and expanded, and then, rapidly, back to the Southeast, toward China. By 2025, the world’s center of gravity will be solidly in Asia, essentially in China, as China becomes the world’s largest economy. And the 2,000-year loop will be complete. Each of us can draw his or her own conclusions. Why Phil Mickelson Is a True Winner! It’s official. For the sixth (!!!) 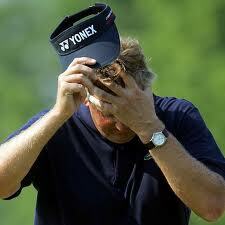 time, golf pro Phil Mickelson has been runner-up at the US Open. Yes, Phil came second again. After leading up to the final round, he bogeyed the shortest hole, and finished four over par, shot a 74 on the final round, and lost by two strokes to Justin Rose, a British player, who ‘aced’ that final round, cool as a British cucumber. Mickelson lost the US Open again – on his 43rd birthday. It was ‘heartbreaking’, he said to the press, signing autographs as he always did even long after dark. He has broken the record for second-place finishes. Professional golfer Phil Mickelson is one of golf’s great athletes. Recently, his wife Amy was diagnosed with cancer, and his mother as well. Mickelson took time off from the Professional Golfers’ Association tour to care for them. Amy survived. Mickelson was there for her. Now four years later, Mickelson flew to attend his daughter’s graduation from college, flying back to play in the US open just the night before it began, losing valuable days of practice. For Phil, his family comes first. So, for this reason, I believe Phil Mickelson is a real winner, not a runner-up. He is clearly a loving caring person. Perhaps some of that emotion rattles his putter and driver on the course. But it also makes him a great human being and role model, father and husband. You’re a winner, Phil. You are in first place in my books, forever. Austerity is NOT the problem! It’s Zombie Banks! At long last, we are beginning to understand what Europe’s real economic problem is. No, it’s NOT budget deficits and debt. And no, the ‘solution’ is NOT austerity (budget cutting, unemployment and massive suffering and social unrest). The problem is… Zombie Banks. 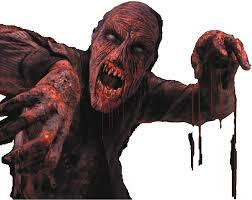 Banks that exist, but are zombies, because they do not do what banks are supposed to do – lend money. According to Stephen Fidler (Wall Street Journal, June 7-9, 2013, p. 4), “policy mistakes by European governments have stymied (bank) lending” …. “funds are being bottled up in Germany and other ‘safe’ economies….’what’s slowing down growth in Europe is a lack of credit’, according to Antonio Borges, a former European director of the IMF.” In other words: Zombie banks. Why aren’t European banks lending? Because their balance sheets are stil riddled with unrealized huge losses, and the banks need the liquid cash much more than the loans, to spiff up their disastrous balance sheets. Why are European banks’ balance sheets so riddled with holes? Because the waffling European Central Bank hasn’t acted decisively to clean up the mess, buy up bad bank assets, write them off, and then move on. In the U.S., notes Fidler, companies can raise funds in the capital market even if banks won’t lend to them. But in Europe, this seems impossible. The Europeans still don’t get it. And the economists are not helping at all. In America, fully half of total financial assets belong to insurance companies and pension funds, and these funds are accessible by companies directly. It’s not the case in Europe. So, look for Europe to continue to stagnate, with high unemployment. According to wikipedia, “since the late 19th century, zombies have acquired notable popularity, especially in North American and European folklore.” But zombie banks are definitely not popular. Europe won’t recover until the zombies become living breathing normal human beings. No, You Can’t Patent What God Makes! 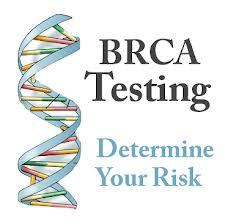 A company called Myriad Genetics Inc. in Salt Lake City, held patents on the BRCA1 and BRCA2 genes, related to breast cancer, and hence had a monopoly on testing for the genes. This enabled Myriad to charge thousands of dollars for these tests, making them inaccessible to women who could not afford it and hence endangering their lives. The original patent was a travesty. How in the world can you justify patenting something that God created, rather than humans? Simply discovering something that God invented, rather than creating something new, should not ever have been patentable. And the wrong that original patent did cannot be fully righted, because we do not know how many woman died of breast cancer as a result of Myriad’s monopoly and price-gouging. Hopefully, Angelina Joli’s courageous decision to undergo surgery, because of her family’s breast cancer history and because she has the offending genes, will heighten women’s awareness. And even more hopefully, more women will now undergo gene testing, whose cost will fall drastically, and enjoy longer better lives as a result. Congratulations to Supreme Court Justice Clarence Thomas, writing for the court, who left little room for doubt about the justices’ view. 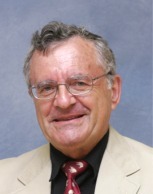 Congratulations also to Dr. Harry Ostrer, now at Albert Einstein Medical Center, for being one of the plaintiffs. Mother Teresa on Wall St. I think this is a great idea. But New York Times columnist David Brooks (Global NYT June 5) is doubtful. “If you are thinking of following his example, I would really urge caution.” Why??? First: “Every hour you spend with others, you become more like the people around you.” In other words, Trigg’s brain will become polluted by the money-grubbing it’s-all-about-me culture. I love David Brooks’ insight. But in this case, I think he is horribly wrong. What do YOU think, reader? This morning, at 8:30 a.m., we launch a 60-hour program here at my university, Technion, called 3DS – Three Day Startup. Headed by EE/CS Professor Daniel Freedman, the project chose 40 diverse students from over 100 applicants. During the coming 72 hours, the students will each a) pitch an entrepreneurial idea, b) choose about 7 or 8 of them for development, c) form into teams, and d) develop a winning business plan for each, collect market data and possibly even build a prototype. On Friday afternoon, the student teams will pitch their idea to a group of venture capitalists. They will be assisted by a team of experienced mentors. 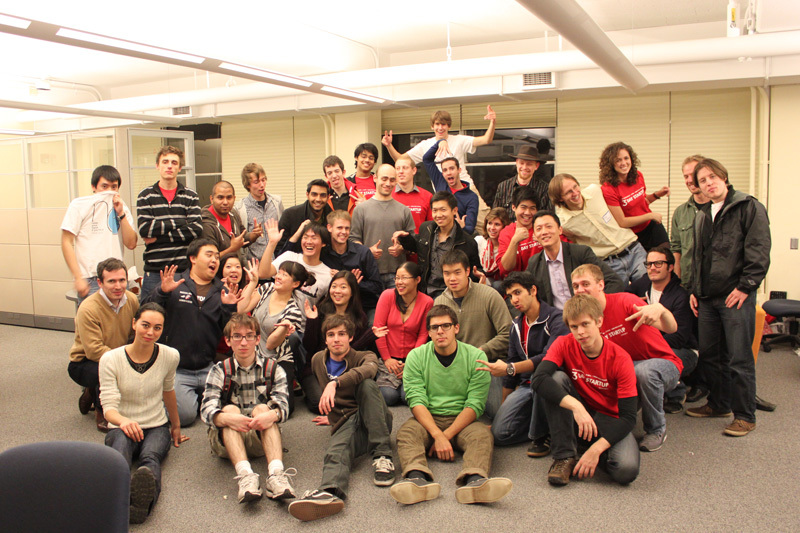 [The photograph shows the 3DS group at Cornell University]. 3DS began in the entrepreneurial incubator at the University of Texas, Austin.